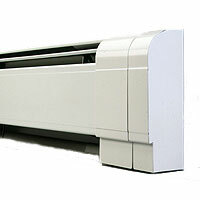 Baseboard heat is found in many homes and offices and provides and excellent source of heat. 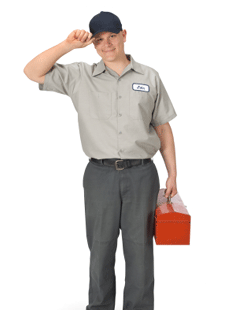 The problem is that over time dust and other debris can collect on the heating elements. Sometimes if there is a lot of dust on the baseboard elements you will smell a weird and awful smell after turning on your heat for the first time after a long summer. 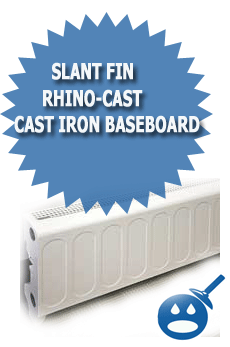 This can be avoided by spending a few minutes in each room that has baseboard heat with heating elements that need to be cleaned or have not been cleaned in a long while.If you have Slant Fin baseboard heat in your home you can clean them easily with a few things that you will already have in your home. The first thing you will want to do is to remove the front cover so you can see the elements that need to be cleaned. You can remove the front baseboard trim by unsnapping the trim from the bottom and then gently lifting it off the braces that hold it into place. Now that you have the front your baseboard off and you can see the elements you will want to grab your vacuum cleaner and the some of the wand attachments. You can use a want attachment to clean all the dust and other debris that have been collecting and building up on and inside of the baseboard heating elements. If you have a brush wand attachment that will most likely work the best for you. When you are vacuuming your elements be careful not to jam the wand of the vacuum into them because they can bend easily if you are not careful. Most vacuums will have a soft brush wand attachment that will work perfectly for this type of cleaning because the brushes of the wand will fit between the slots of the fins on the element. 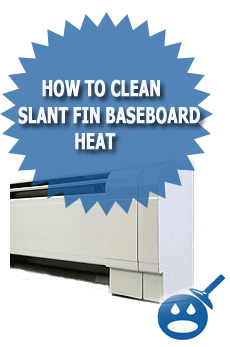 Once you have vacuumed all of the dust and debris from the elements of your Slant Fin baseboard heat you will also want to take a damp rag and wash the inner panel of the front trim that you removed in the first step. Once the inside of the front trim is cleaned you can re-install the front trim. Now that you have cleaned your elements on your baseboard heat you can rest assured that you will have nice, clean and warm heat with all of the dust and debris being heated every time you turn on the heat. had a fire in kitchen oven.how do i get rid of smell in the base board fin .